Victoria Lopez was born with cystic fibrosis, a genetic lung disease. She was diagnosed with CF at eight months old. Doctors told her parents, Derek and Griselda, their daughter was very sick but they would do everything possible to help bring the Lopez’s baby home. Due to the nature of the progressive disease, as Victoria grew older, Derek and Griselda knew a lung transplant might be necessary. On September 20, 2017, it was confirmed that Victoria would need a lung transplant and she was given two months to decide if she wanted to undergo the surgery. On her 16th birthday, November 13, Victoria decided she wanted a lung transplant, and she was admitted into the hospital. By March of 2018, the disease had progressed significantly. Victoria was admitted to Medical City Children’s hospital in Dallas on March 6, and within a couple of days had a massive coughing attack which required her admittance into the ICU. One week later, she was transferred to Baylor Scott & White Hospital for close observation and access to maximum oxygen. After enduring three days of extensive transplant evaluation, Victoria was placed at the top of the lung transplant list in Dallas for both pediatric patients and adults. On April 6, Victoria was briefly released from the hospital on continuous oxygen. 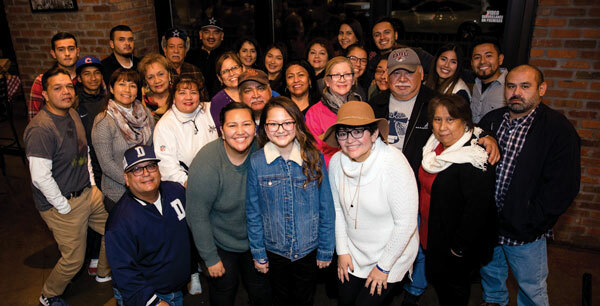 Three weeks later, she was invited to go to Congreso, Texas Baptists' Hispanic Evangelism Rally for students, to share her testimony with the crowd of more than 3,000 Hispanic students at Baylor University’s Ferrell Center in Waco. 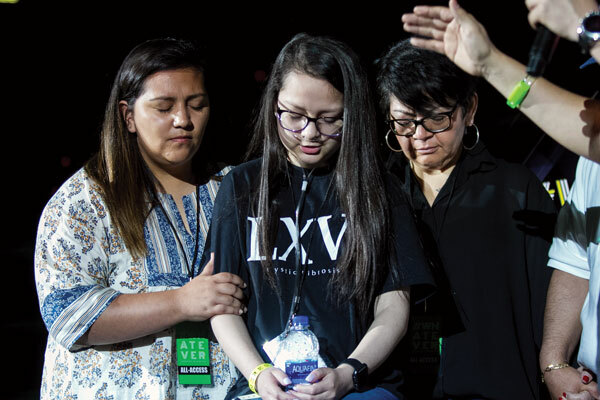 Congreso students and leaders prayed fervently for Victoria—for God to provide lungs for her ailing body. Her testimony was inspiring to many students in the audience, as she shared about her strong faith in the Lord, despite very difficult circumstances. The Lopez family returned back to Dallas on April 28 and Victoria was readmitted into the hospital after running a fever. Her family prayed and waited for God to intercede. On May 7, Victoria went through a re-evaluation for the transplant list, and the doctors told her family she was doing better and would be moved down on the list. At that point, Victoria’s mother Griselda did not know how to pray. “Do I pray for my daughter to get sick so she could move up the transplant list? I pray for her to get better, but continue to have her moved down the list? Do I pray for someone else to die so Victoria could have lungs and live? I was so confused,” she recalled. Within two hours, the family was at the hospital. Victoria remembered watching “Father of the Bride” with her family while technicians took blood, ran tests and prepared her for surgery. “Once my parents and sister were out of sight, I was alone, and I began praying for all the doctors that were going to work on me and that my life afterward would be everything that I hoped it to be,” she said. At midnight, Victoria went into the operating room. Within three hours, the lungs arrived at the hospital. Seven hours later, her surgery was complete and Victoria had two new lungs. 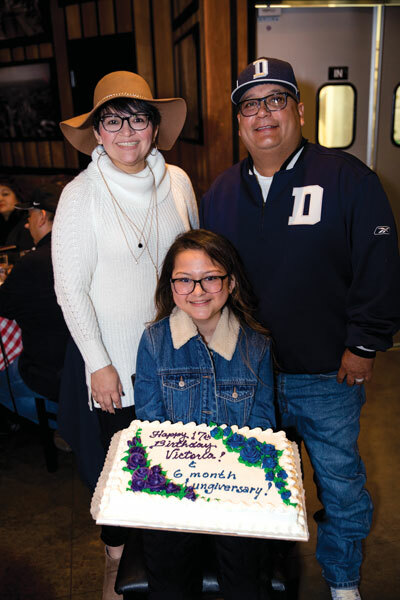 Although there was much rejoicing at the completion of her surgery, the Lopez’s learned that Victoria had complications in surgery, because of how sick she had been. She was placed on two life-support systems. Victoria also struggled in her faith. She doubted God’s goodness as she suffered extreme pain and hardship. A surgery that was intended to make her better had seemingly made her life more difficult. Why would God allow this to happen? As she wrestled with hard questions, Victoria continued to cry out to the Lord. After being released from the ICU, Victoria still had to spend time in rehabilitation. She had to learn how to breathe through her new lungs and how to walk again after being bed-bound for so long. She also went through speech and occupational therapy. On June 26, approximately seven weeks after her transplant, she was able to go back home. Through the rehab, Victoria regained strength day by day. “Through this whole transplant process, I have learned to lean on God and on my family. Even when I think I am all alone, I have the creator of the world right by my side,” she said. Six months after her transplant, Victoria stood before her church and 60 family members to share her testimony through baptism. 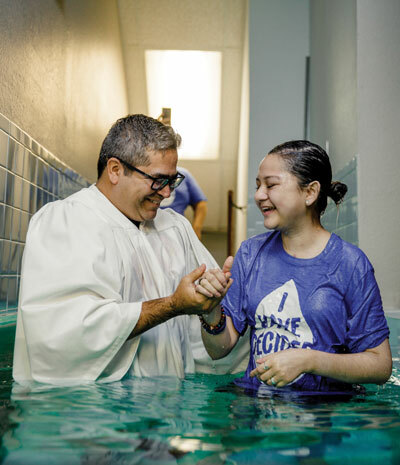 The baptism was held as a joint worship service with the Promise Church of Dallas and the First Mexican Baptist Church in Dallas. “God has done so much for me and I wanted to show the world that I trust Him with my life,” she said. Victoria also has plans to attend Congreso 2019 in April and share with her peers about God’s healing power and the miracle He performed in her life.